Life between myths. Clans, cows, choices. 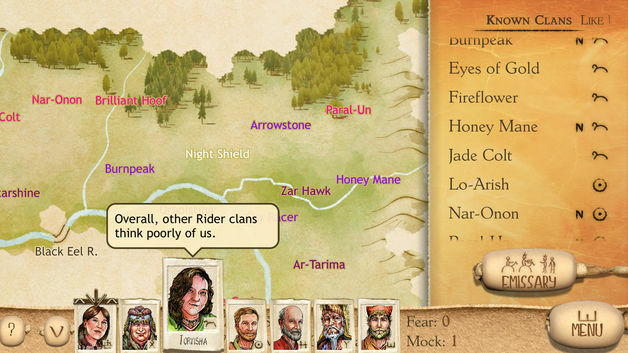 The spiritual successor to King of Dragon Pass, Six Ages combines interactive stories and turn-based strategy. 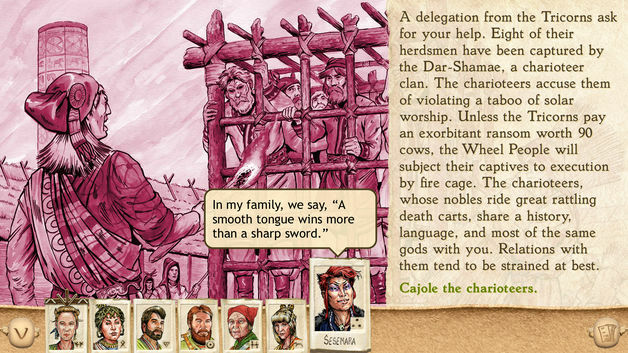 Your small clan’s survival depends on its relations with the warring gods and their followers. 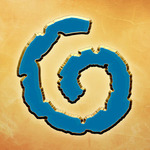 Play involves actions such as improving pastures, exploration, trading with your neighbors, and raiding. You can even travel to the Otherworld to visit your gods. You also need to deal with crises ranging from marauding dinosaurs to diplomatic requests to illicit love. Your choices have a politico-economic impact, but some consequences might not be obvious for decades. 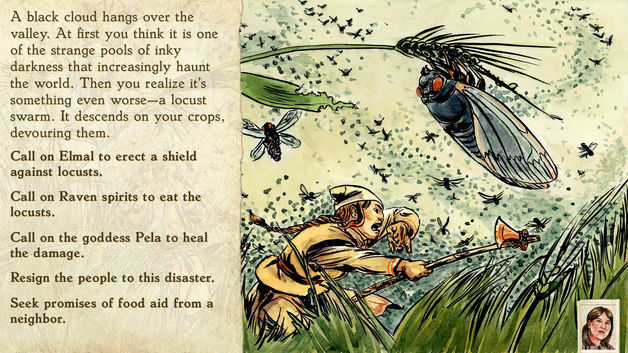 It’s set in Glorantha (the world of the games RuneQuest, HeroQuest, and 13th Age), where the laws of physics are subordinate to the whims of the gods and spirits. 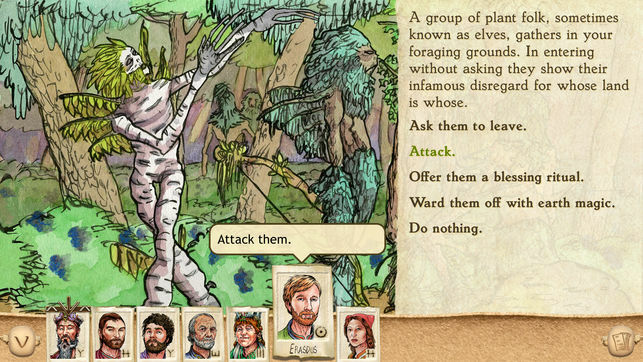 Six Ages is immensely replayable, thanks to over 400 interactive scenes with multiple outcomes. Short episodes and automatic saving mean you can play even when you only have a minute or two. The built-in saga writes down the story for you. And advisors with distinctive personalities help you track your cows. 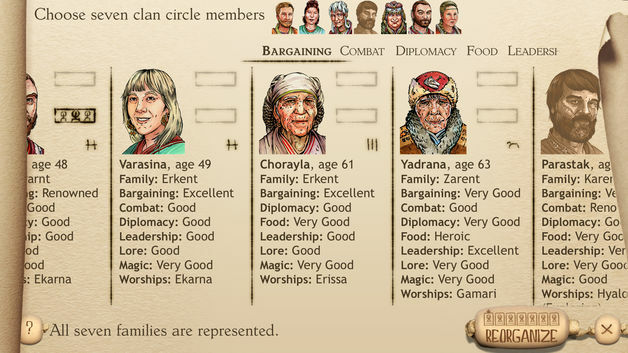 Six Ages offers up some incredibly rich fiction in a genre that usually depends solely on layers of systems to create fun. There's plenty of that here too, but it feels much more magical due to this game's tendencies to keep decisions and mechanics mysterious and ambiguous. This may be cause for frustration for some players, but for those that are willing and able to take a deep dive into a world full of unforeseen consequences in an unfamiliar world, Six Ages is well worth your time. If you’re not a fan of reading or absolutely hate having wrenches randomly thrown at your head while you’re trying to play chess, the narrative side may irritate you. But if you want to get lost in a world full of meticulous details and gameplay that isn’t quite like anything else, you’ll want to hop on to Six Ages as soon as possible.